Moving can quickly turn from an exciting new adventure into a major headache, but it doesn’t have to be that way. With a little extra knowledge and planning, you’ll be well on your way to a calm and organized move, instead of a chaotic one. Learn from the experts at Marrins’ Moving with the following guide to a stress-free move. A successful move begins with the planning stage. Take the time to think through your needs and preferences. Are you moving a long distance? Do you have heavy items you’ll need help moving? Do you just want someone to take care of it all, including the packing? Getting a notebook to jot down your thoughts, ideas, and various checklists will help you organize what needs to be done and what kind of help you’ll need. You’ll quickly realize just how long the to-do list is, but having a place to keep track of your thoughts will keep any overwhelming feelings away. The preparing stage involves everything from purchasing the supplies you’ll need (boxes, packing tape, bubble wrap, labels, and markers) to scheduling services that need to be shut off in your current home and turned on in your new one. It also includes contacting moving companies and determining what services you may need and how much they may cost so you can budget for it. Now that you have a plan in place and supplies on hand, it’s time to get to packing. Be sure to label boxes with proper rooms so you and the movers will know where to put them on moving day. Take care to pack fragile items and essential items separately, with clear labels. You don’t want your valuables broken or to be without things that you need. As you’re packing, start with infrequently used items, then move on to items you use regularly. It’s finally the big day. If movers are coming, be sure to be ready with clear instructions. If you’ve taken the care to plan, prepare, and pack carefully, this part shouldn’t be too stressful, especially with plenty of help. It’s time to settle in and enjoy your new place. Having a plan for simple meals the first week in your new home is always a good idea. It will give you a chance to focus on any repairs, cleaning, painting, and unpacking you need to do, without any additional mess or stress. Here are some mistakes that are frequently made. By avoiding these mistakes, you’ll avoid unnecessary stress, and possibly even an injury. 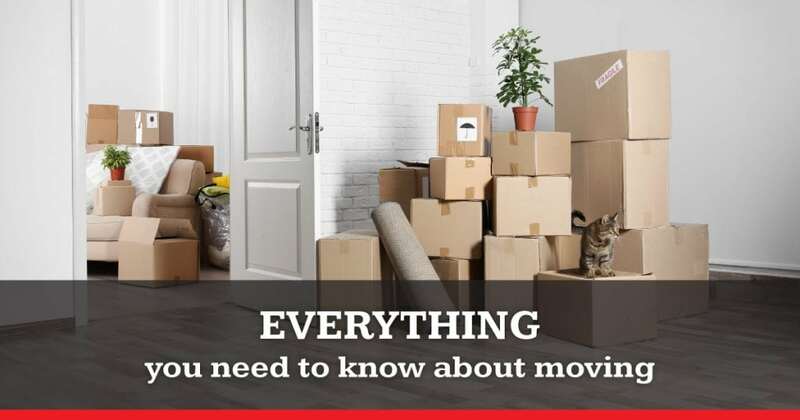 With a little planning, a few handy tips, and some extra help, the process of moving doesn’t have to be a stressful event. Marrins’ Moving has several options to fit a range of needs and budgets. Call Marrins’ Moving today to learn about our moving options and to get a free quote.